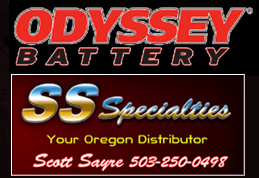 We are your direct distributor for Odyssey Batteries in the Pacific Northwest serving both retailers and direct. We service large fleets, municipalities, government entities and manufacturers. Regardless of the size requirement or the amperage needed, we can help you with personal service expertise and tackle any project you might have. This page has been viewed 15949 times.